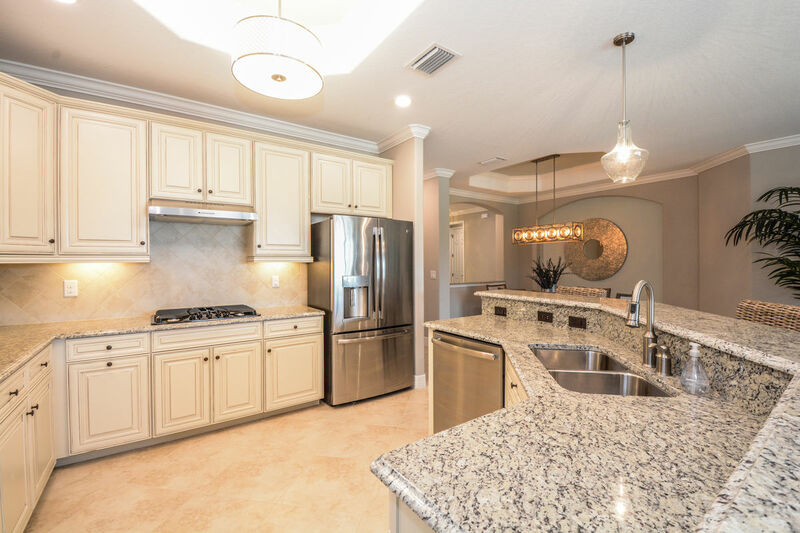 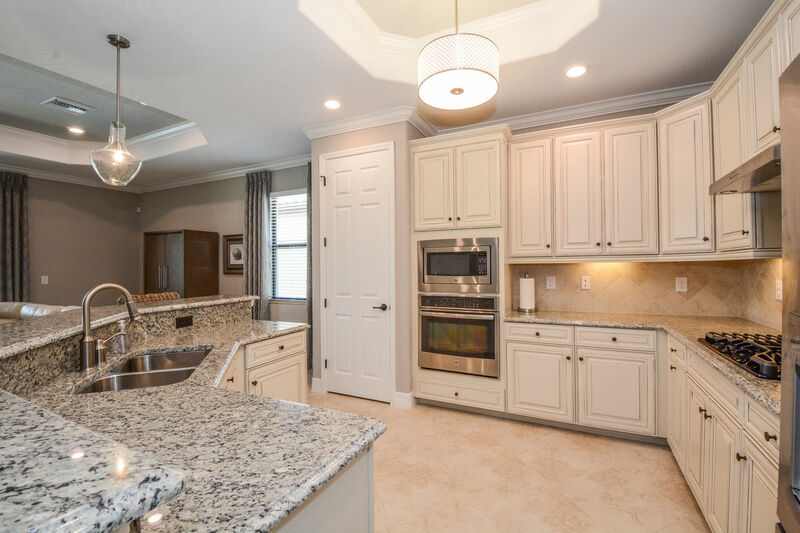 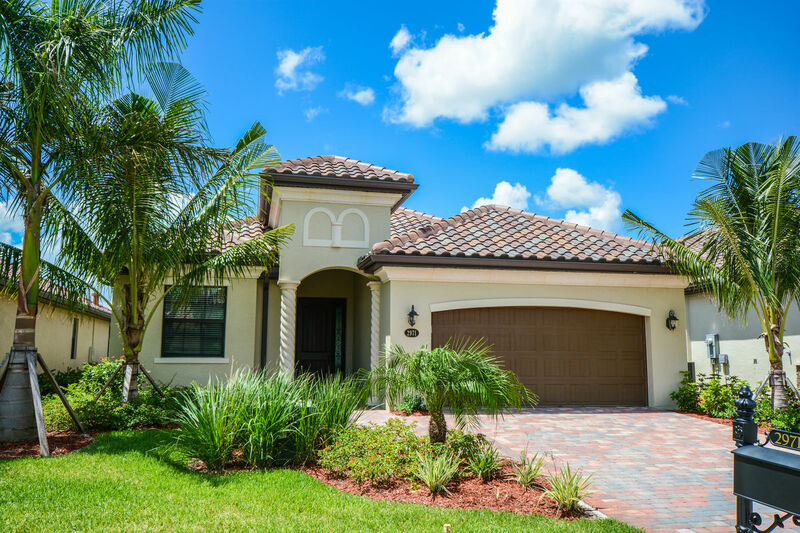 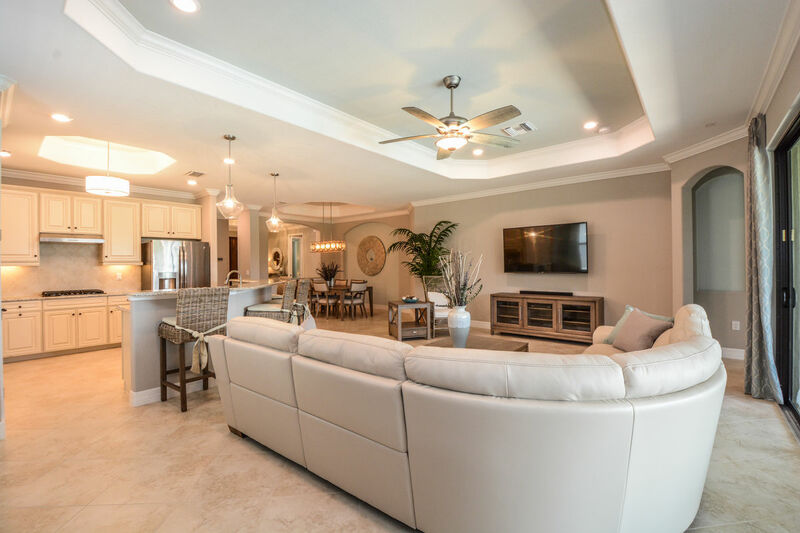 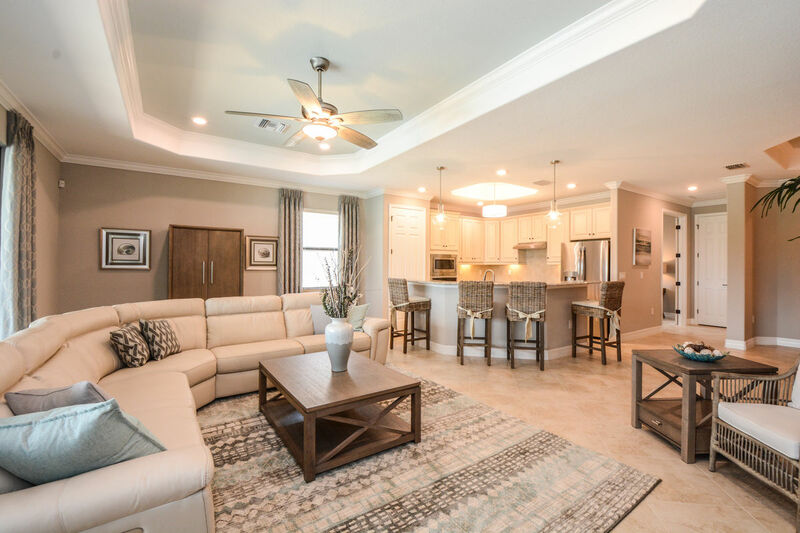 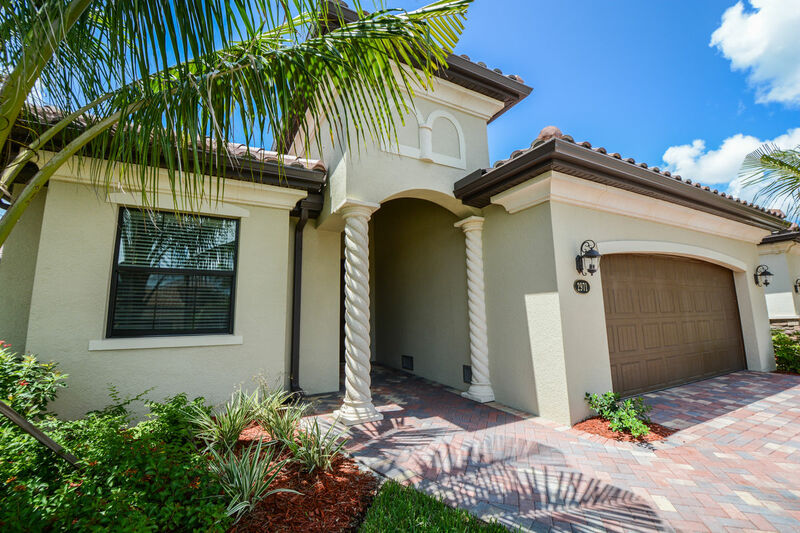 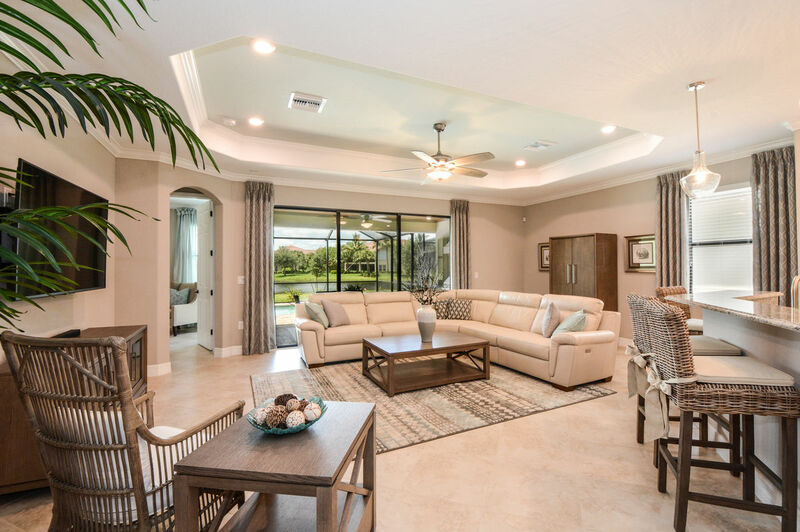 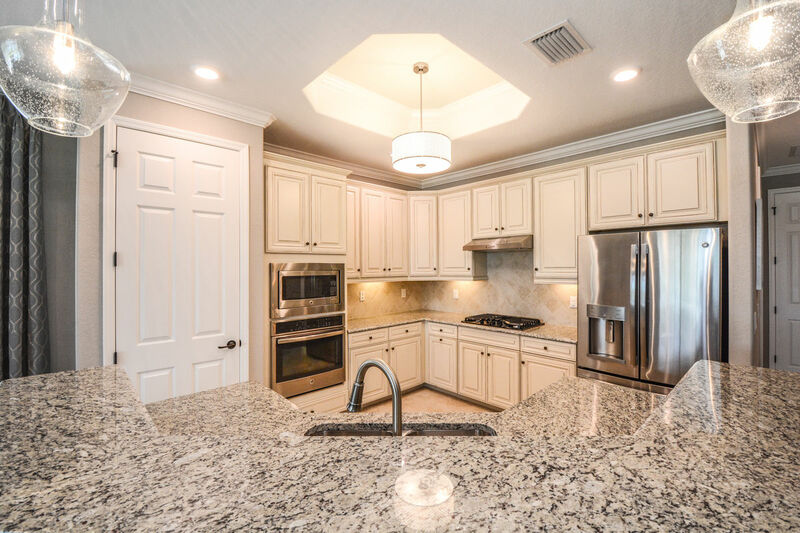 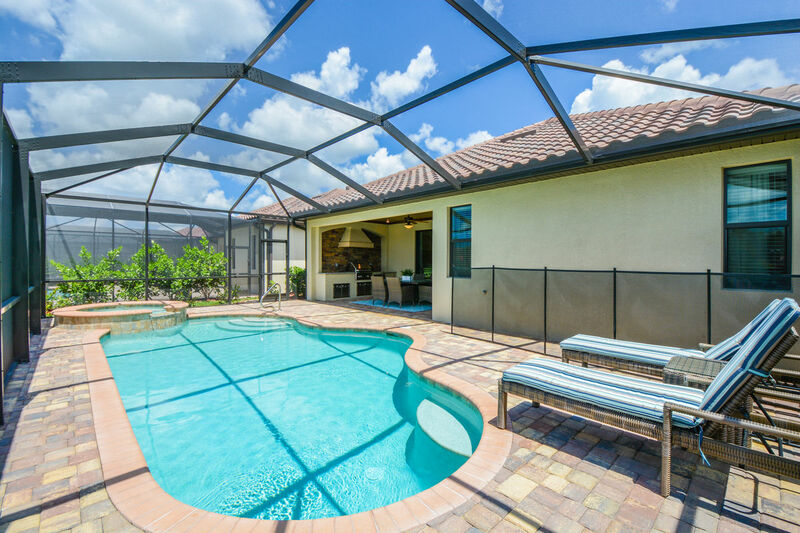 Come enjoy your vacation in this brand new 4 bedroom single family home in Fiddler's Creek's Aviamar community with a private pool and spa over looking the lake. 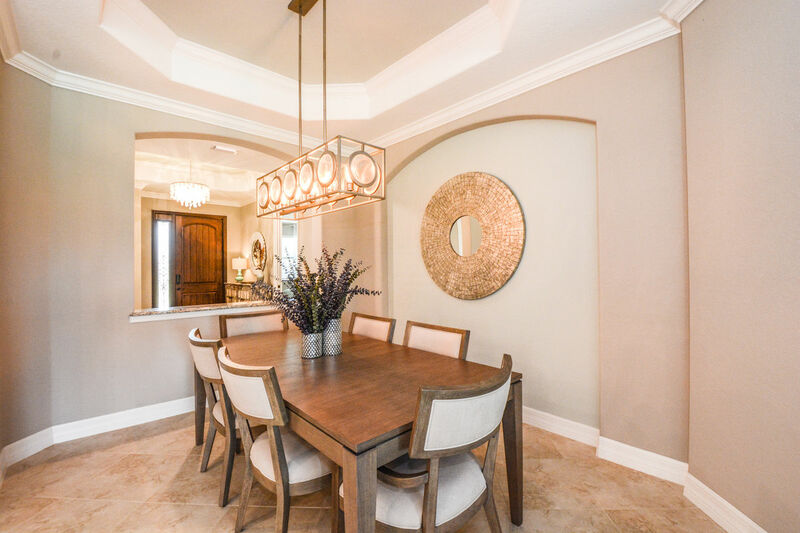 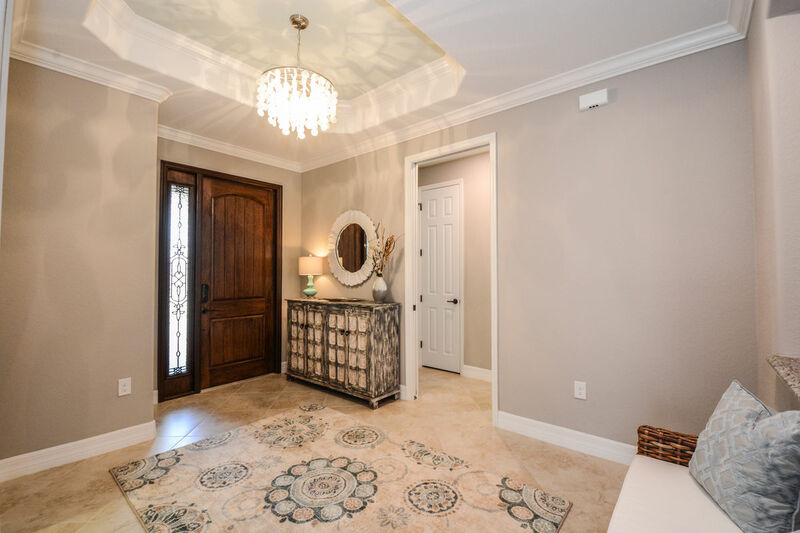 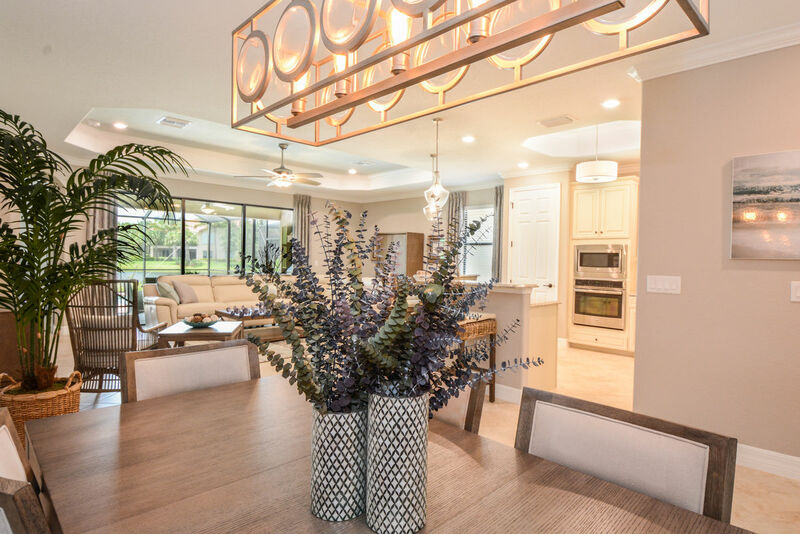 This newly constructed home has been professionally furnished by an interior decorator, you'll feel right at home when you walk in the door. 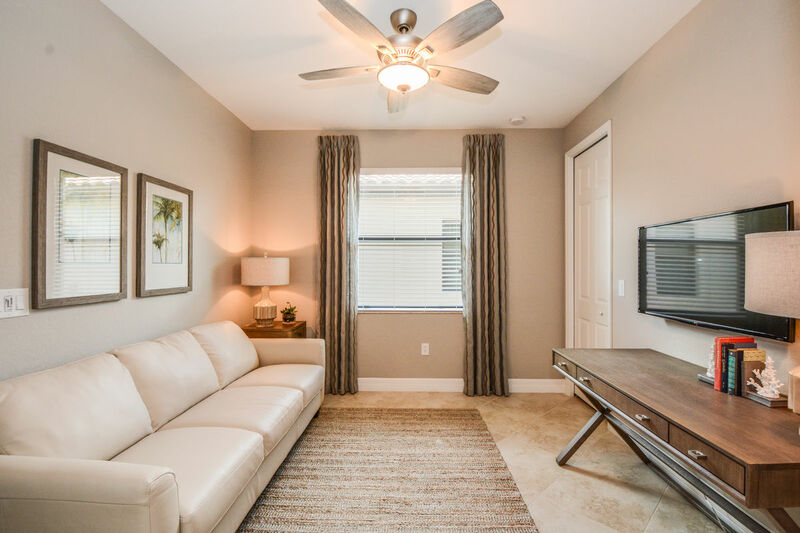 With 3 bedrooms and a den that provides a full sized sleeper couch this home is ready to entertain guests, or provide plenty of space for just a couple. 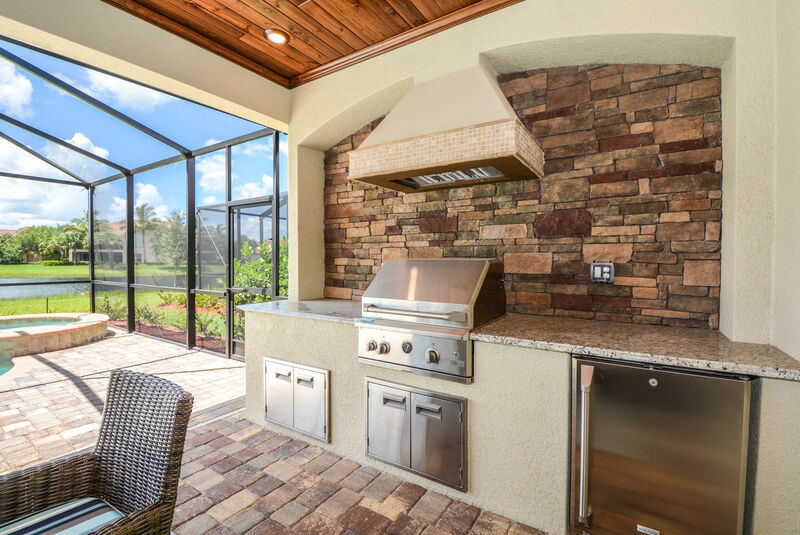 Relax by the pool and take advantage of the outdoor kitchen by grilling meals and dining at the outdoor dining table with seating for 6. 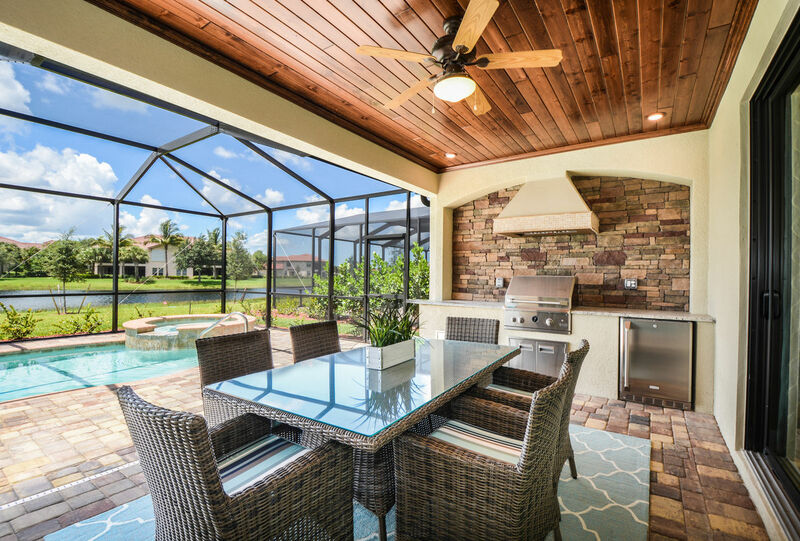 As you're surrounded by great company you'll get to over look the serene pool and spa to enjoy viewing some of Florida's wildlife that gathers near the lake. 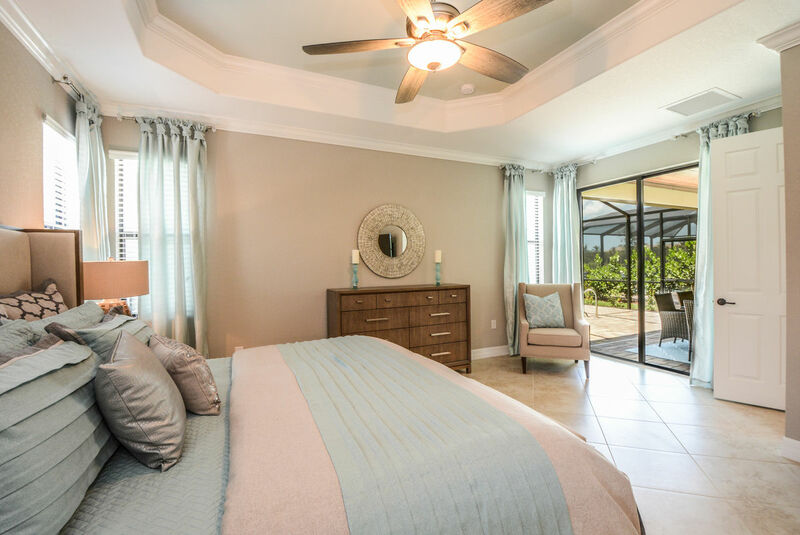 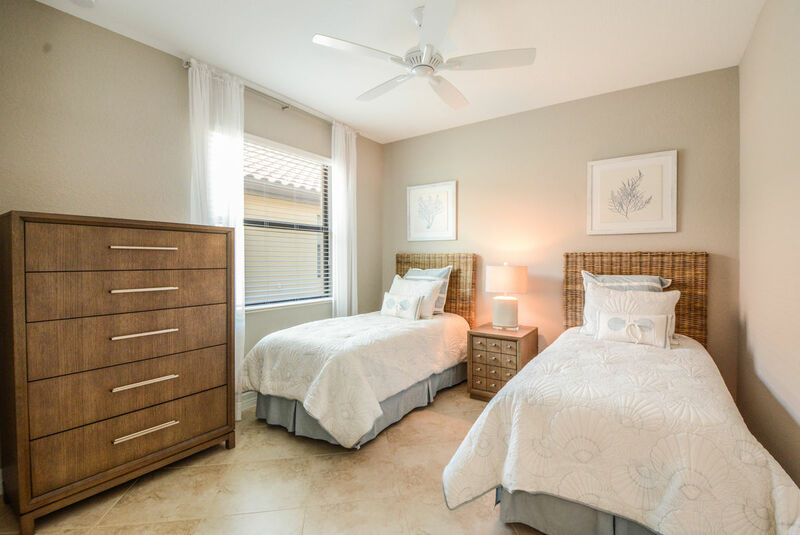 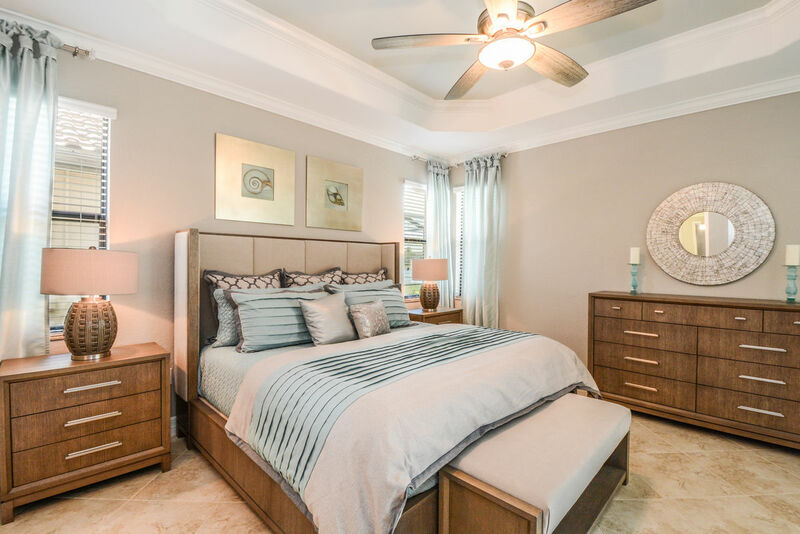 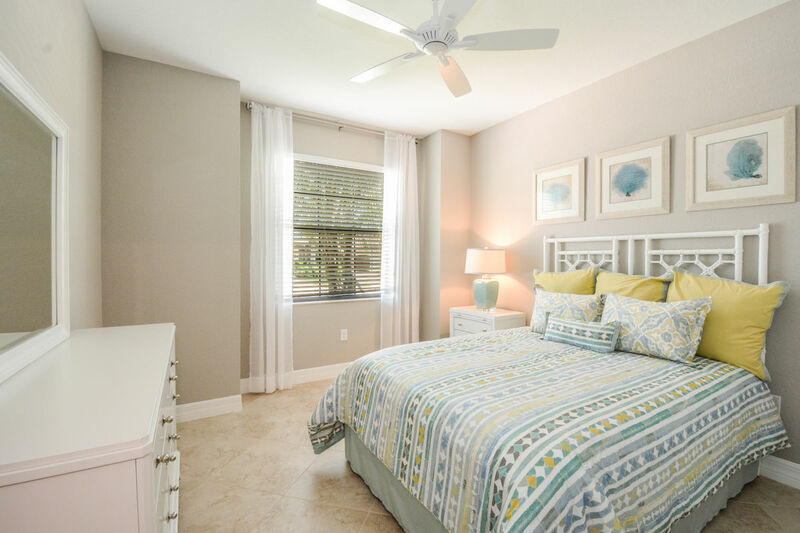 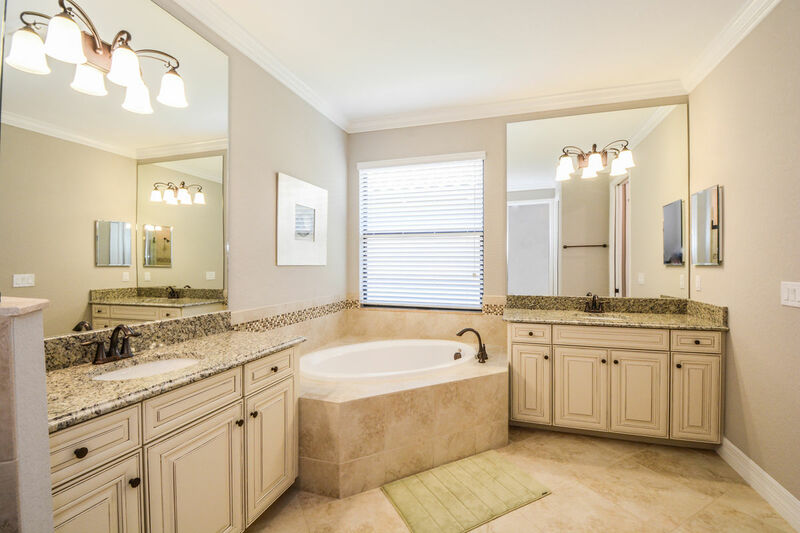 The master suite boasts a king sized bed and access to the lanai and pool area, as well as a flat screen TV and a private master bathroom with a walk in shower, tub and his and her sinks. 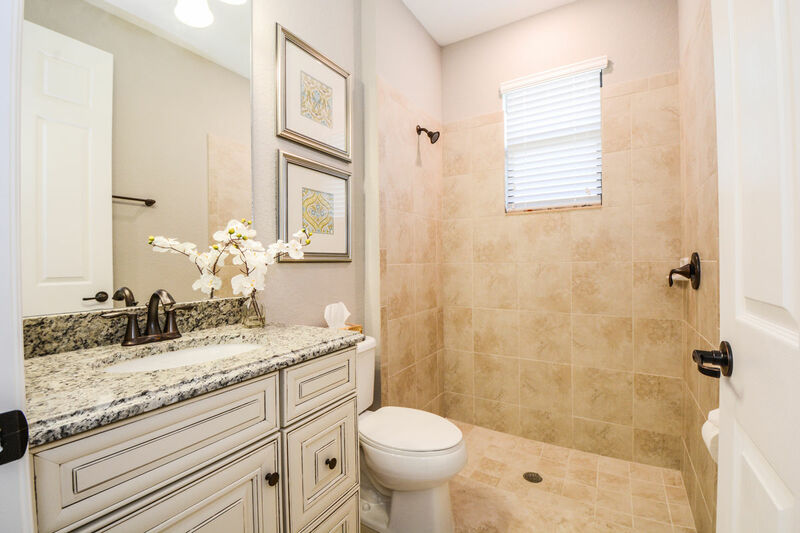 The other 3 bedrooms share the full bathroom located on the other side of the home.